The Algonquin ‘A’ and ‘B’ is a very efficient 3 bedroom layout with a dramatic sunken living room with cathedral ceiling. It is a good sized family sized modest vacation home with open concept living areas which is ideal for entertaining. 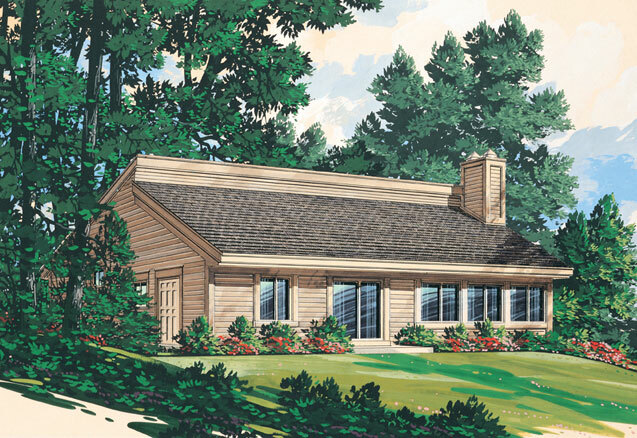 The exterior design lends a contemporary touch to a wooded setting.